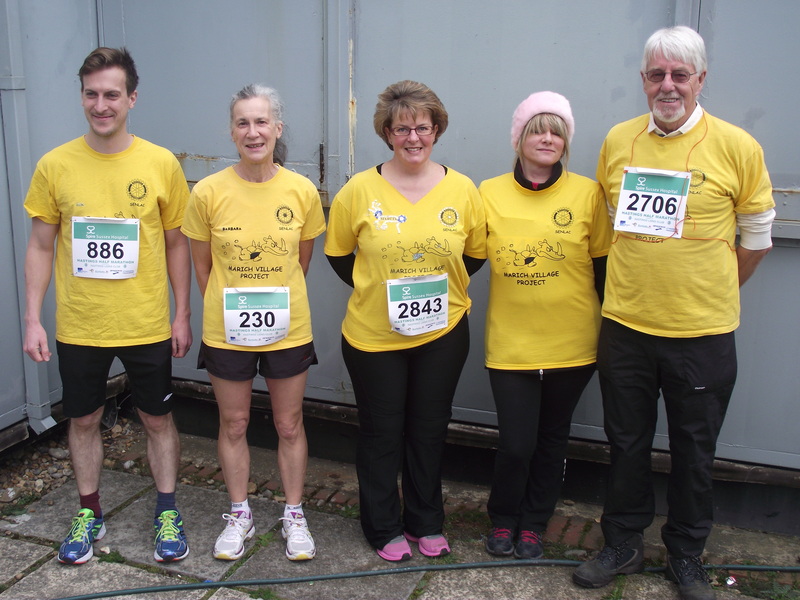 Last year, inspired by watching the Kenyans distinguishing themselves as usual in the Hastings Half Marathon, I ventured out of running retirement in order to join a team of Yellowmen runners and walkers who entered the event this year and raised some £2,500 towards the girls’ refuge described in the article entitled “Promoting the Education and Welfare of Girls”. 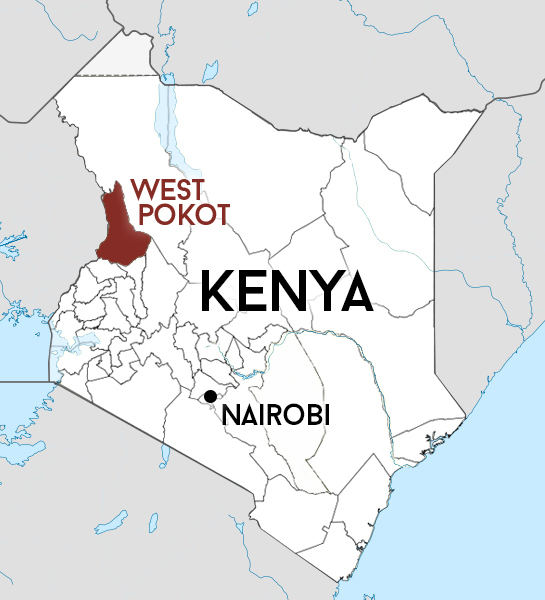 Training began in Pokot in September 2014 and continued both at home and again in Pokot in February this year. By then, the race was only a month away and I could not afford to let my level of running fitness slip. One of my most poignant memories of that visit is of the local ladies on their way to fetch water from the river (both water pumps having broken down), who not only clapped and cheered as do spectators on the day of the race, but also ran alongside me and sometimes joined hands with me by way of encouragement when I faltered. Needless to say, they rapidly outran me! I also used to meet children on their way to school and was able to hold impromptu English conversation classes. 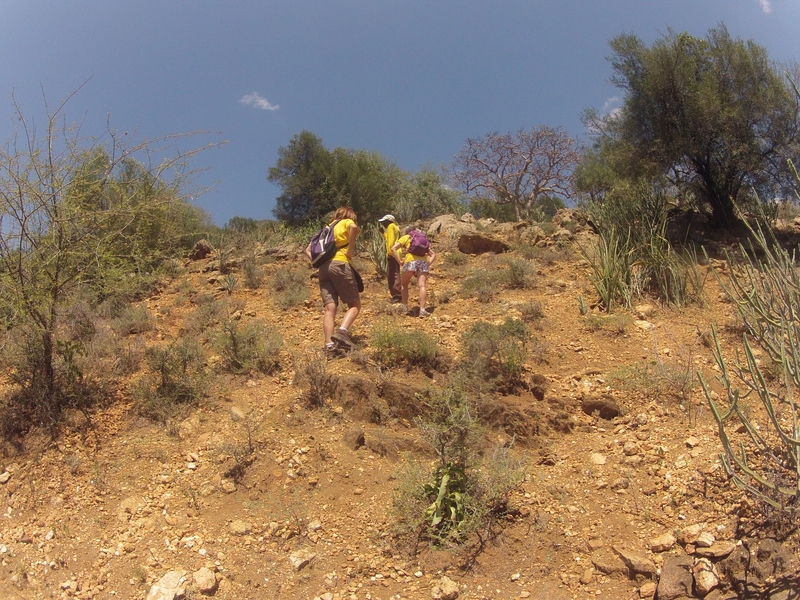 It is difficult to describe the impact of these experiences, but perhaps helps to explain why I intend to return to Pokot twice a year until such time as I am obliged to accept the mantle of a retired Yellowman as well as that of a retired runner. I was additionally motivated by the discovery of the need for the girls’ refuge and was delighted to learn that fundraising for this exciting project would form the team’s focus. The money raised has provided the basic building and may go some way towards furnishing a water supply and the installation of solar panels. The girls also require loos, showers and basic equipment such as beds. The refuge will be their home and hence the need for as many home comforts as possible. In the future, we are looking to provide a permanent concrete version of the local traditional circular homes, each of which would accommodate eight girls. I still maintain that I have retired from event running. However, as I now understand the ongoing nature of the project, I am managing a 12k run once a week and remain an enthusiastic walker. So the challenge is this. 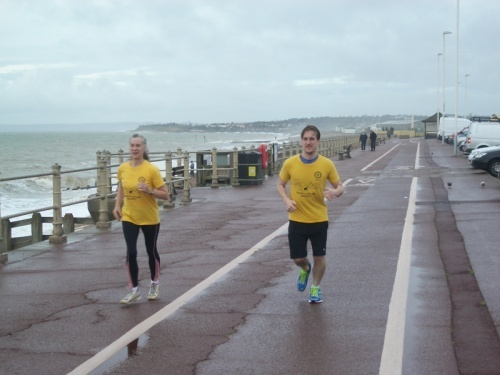 Would you, Yellowmen runners and walkers, like to make this your particular project and enter the Hastings Half Marathon on an annual basis?